If you’ve toured a distillery, you know a lot of thought goes into not only the flavor profile of the spirit you’re tasting, but of the design of the facility to make it functional for the distiller, and comfortable for guests. 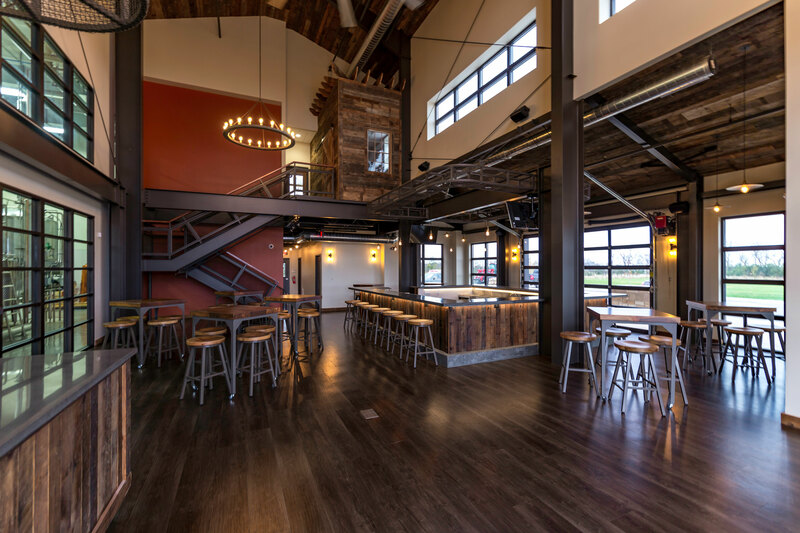 Sketchworks Architecture has designed a few notable Madison area distilleries: State Line Distillery, Death’s Door Distillery and Dancing Goat Distillery. Koning says distilleries sought out Sketchworks because of the firm’s experience in working on these spaces. The first opportunity arose with Death’s Door Distillery in 2011, which at the time was the state’s largest craft distillery. It was unique in its scope. “It was one of only three in the entire U.S. with 35-foot-tall twin rectification towers. It was designed for large-scale distilling production,” says Koning. Dancing Goat’s owner Travis Hasse sought out Sketchworks for the same reason to build their brand-new, $7-million-dollar facility in Cambridge that was finished in 2017. The building integrates modern materials, such as metal siding with natural products in the interior, like limestone and reclaimed barnwood. “Dancing Goat is a true build-from-scratch distillery that had a focus on the customer experience from the beginning. It was designed as a destination with an outdoor patio, large tasting room, kitchen and merchandise area. Its layout and focus is on the ‘experience,’” says Koning. From Sketchworks’ relationship with Death’s Door Distillery came the connection to State Line Distillery, as the owner of State Line previously worked at Death’s Door before striking out on his own. State Line opened in downtown Madison in 2018. The building was special because it was a dilapidated nickel-plating factory that Sketchworks renovated into a “purposeful, small-batch distillery,” says Koning. 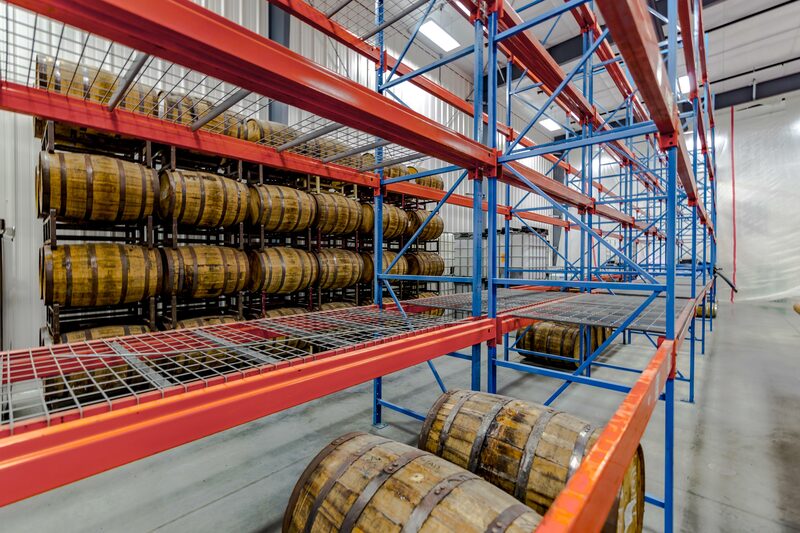 “The adaptive reuse of that facility is the story, with a focus on the customer experience as part of the distilling process. 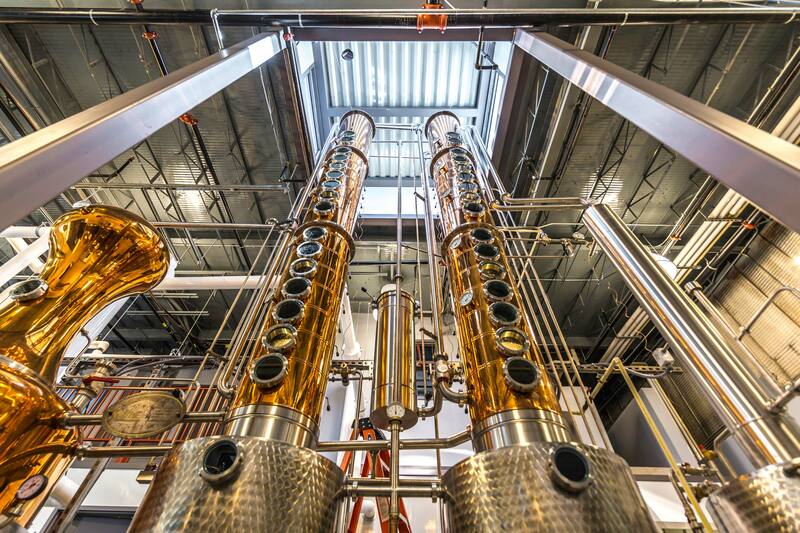 Being located in downtown Madison brought unique challenges in order to create a well-functioning craft distillery,” says Koning. Although Koning has cherished heading up the design team for each project and is excited for more distillery projects down the road, there’s another side benefit for him in all of this. “I like whiskey,” he laughs. Read more about our distillery and brewery experience here.